There are three surnames of the lawmakers of the Verkhovna Rada in the case corruption of minors in “Artek”. Lawmaker from the BYUT Grygoriy Omelchenko, who made addresses because of the corruption of minors in “Artek”, said this to “Ukrainska Pravda ”. “There are surnames of three lawmakers. I made requests on September 7 and September 12. The last one was with new evidences, there were three surnames of the lawmakers and a priest”, he said. He also said that the psychological examination was carried out and testimonies of children were checked at a polygraph detector. “Experts recognized that children tell truth concerning conditions of the crime against them”, said G. Omelchenko. “The forensic medical examination was carried out and it showed that children have been raped during three years”, he underlined. 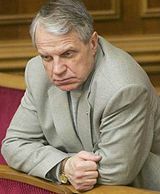 At the same time in the commentary to “Ukrainska Pravda” G. Omelchenko refused to say surnames of lawmakers, which he noted in the address to President of Ukraine Victor Yushchenko.